After studying Illustration and Graphic Design at Batley Art College John is now in his 34th year in Film & TV, working on some of the most exiting and high profile projects around. Beginning his career at Manchester’s Cosgrove Hall Films on “Wind In The Willows” then shortly after Gerry Anderson’s puppet series “Terrahawks”, John then based himself in London, spending over ten years finely tuning his modelling skills on animated commercials and promos, before finally co-producing and designing his Pre-School series “Potamus Park”which ran for three years on ITV. 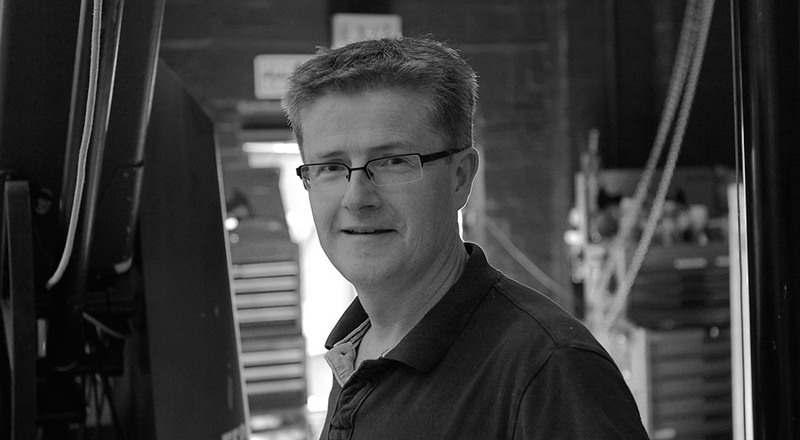 Since then, John has contributed his model and prop making skills on a number of iconic movies including “Aliens”, “Casino Royale”, “Moon”, “V For Vendetta”, a couple of “Harry Potter’s” , “Fantastic Mr Fox”, “Frankenweenie”, “The Martian”, and the eagerly awaited - “Rogue One - A Star Wars story - due for release this Christmas. He recently revisited the world of animation by Production designing and supervising the model build with his team of fifteen artists over a six month period on the multi-award winning John Lewis Christmas advert - “The Bear & The Hare”. John also frequently lectures to the next generation of film makers at The National Film and Television School. John is currently working on Star Wars Episode - 8 at Pinewood Studios.